Michael, Laura and Dominick share insights about how Savvy Rest got started and what makes our organic mattresses unique. Michael: I was always interested in living a natural life. I always try to eat natural foods, and exercise, and do all the kind of things that people tell you to do to live a healthy lifestyle. And so everything that we do with our products is influenced by that. Laura: Our mattress have that sort of beautiful off-white creamy color. They’re not bleached, they’re not dyed, they’re not covered with chemical finishes. And when you see that color—as unprocessed as it is—I think it sends a message about the cleanliness and the simplicity of the material. Michael: I got the idea originally to manufacture natural mattresses when people were coming into my store. People were looking for natural mattresses and we managed to develop some products that were natural—but also customizable. Laura: We’ve had people come in with real pain issues. And the look on their faces when we can offer them something that is radically different in comfort from what they have been trying to sleep on—it’s a very heartwarming feeling, it really feels good. Dominick: Everybody has different needs that they’re trying to address when they go searching for a mattress. And we really try to listen to what those needs are, and try to recommend the best possible mattress, and the best combination of latex so that they have the best possible sleeping experience they can have. Laura: I love our website. It’s user-friendly, extremely detailed, and informational. There are rich pages full of graphics and advice on what layers may be best for what kind of comfort needs. There’s a search box in the top left corner. Up in the upper-right corner you’ll see a dealer locator. Just plug in your zip code and hit go. 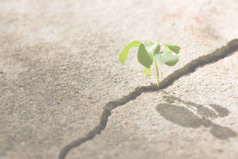 If we can’t greet, and smile at, and shake hands with every individual who’s going to buy a Savvy Rest we can still certainly connect with them still—and that’s what savvyrest.com is about. Dominick: Our goal as a company is to contribute to people’s well being, and we just happen to do it with mattresses. Michael: I feel like we’re changing the way people think about their home environment and the way they think about their bedroom, as well as the way they think about their bedroom and the environment. And having natural products that don’t pollute the environment makes a big difference. What would lead a yoga-practicing, organic-food-eating runner to start a mattress company? 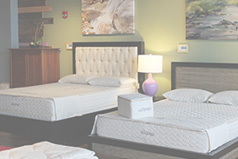 Savvy Rest Natural Bedroom stores offer organic mattresses, toppers, pillows, bedding, and furniture.